There are not many florists in Norfolk, VA who can create floral arrangements as well as Becky Thompson. Becky is the proprietor of Becky's Buckroe Florists. This local flower shop offers clients beautifully arranged floral arrangements for all occasions. Thus whether its weddings flowers or get-well-soon floral gifts, the flower shop has something for everyone. 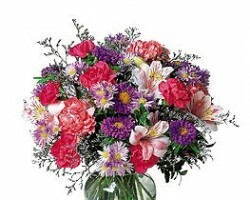 This flower shop serves a wide array of locations in Virginia including Yorkton and Hampton. Becky's Buckroe Florists has built a reputation for always meeting client needs. 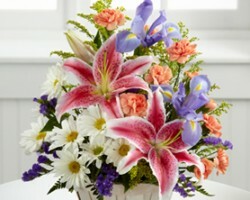 With Portsmouth Floral Co, sending of flowers has never been easier. Based in Virginia, this company does flowers delivery in Norfolk and surrounding area. 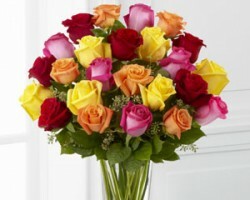 Clients are guaranteed 100% customer satisfaction and high quality and fresh roses. Since Portsmouth Floral has been in the flower for over 60 years, it has a great track record and has built lasting relationships with some of its clients. Additionally, the wealth of experience that this floral company boasts of makes it a trustworthy company for all things floral. Started in 2002 by retired Lieutenant Commander Joe L. McMullen, Jr, Great Neck Florists and Gifts provides clients with great floral gifts and floral arrangements for different occasions. The owners of this flower shop are dedicated to satisfying the needs of their clients. This means that clients get personalized services as well as reliable services. Apart from the store being reliable, it is also an affordable option for many in the Virginian beach area. The store has received numerous reviews for its dedication to excellence. Churchland's Village Flower Shop is one of the oldest flower shops in Norfolk, Virginia. Started in 1964, this family owned flower shop offers only fresh flowers. Since it opened its doors the flower shop has amassed a vast following in the area courtesy of its 100% customer satisfaction guarantee. Moreover, the shop’s highly qualified and friendly staff help clients choose floral arrangements that reflect their special events. 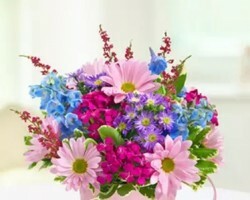 In this regard, this flower shop has perfected the art of offering personalized services to all its customers. In 1986, Donna Pauley came up with the idea of starting her own flower shop. Thirty years after she started the flower shop, which she named Colony Beach Florists, the business is still thriving. 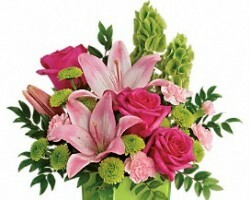 All floral arrangements are designed to reflect a client’s feelings and expressions. This way, the Norfolk florist and its staff create unique floral masterpieces worthy of being the centerpiece of any wedding as well as for any other occasion and any for conveying congratulatory or condolence messages.